When people first hear that I don’t eat any grains, I am usually greeted with, “so, what do you eat?” For most people, a dinner without potatoes, pasta or rice simply is not a dinner. Since beginning the Specific Carbohydrate Diet (SCD), vegetables have become my staple foods. Of course, I eat meat, fish, eggs, fruit and lactose-free dairy too but vegetables make my meals really interesting. Eating a wide variety of vegetables opens up a whole new world of flavours. I try to make my vegetable and side dishes sing as much as possible. They are a really important aspect of my diet. This roasted garlic and basil cauliflower mash was the result of my usual food day-dreaming. It did not disappoint! Cauliflower rice or mash is definitely one of those side dishes I can whip up if I’m a big hurry. It takes only minutes to create a filling and tasty meal. I never used to eat cauliflower before beginning the SCD but now I buy at least two every week. Cauliflowers are packed with vital vitamins and nutrients and prepared in the right way seem much more posh than potatoes! The inspiration for this roasted garlic and basil cauliflower mash came to me when I spotted the abundance of beautiful basil we had growing in the herb garden recently. Few flavours in life can compete with roasted garlic and fresh basil and this tasted even more delicious that I had hoped it would. This also looks quite gourmet and will be sure to impress any of your guests at a dinner party – whether they are fellow SCD-ers or not. This goes great with meat, fish or roasted vegetables. Leftovers will keep well in the fridge of a day or two. 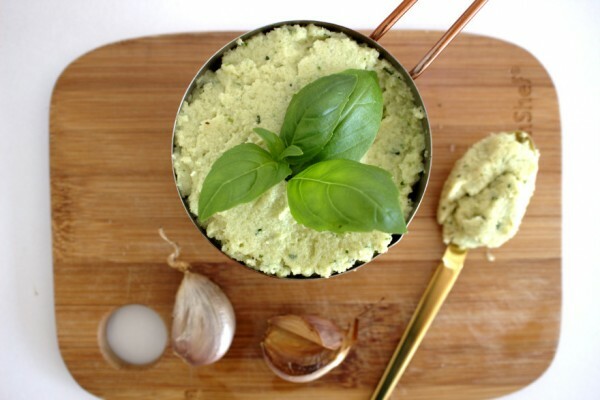 A delicious roasted garlic and basil cauliflower mash to tickle your tastebuds. Gluten-free, grain-free and suitable for the Specific Carbohydrate Diet (SCD). Preheat the oven to 180°C Fan, 200°C electric, 390°F or gas mark 6. 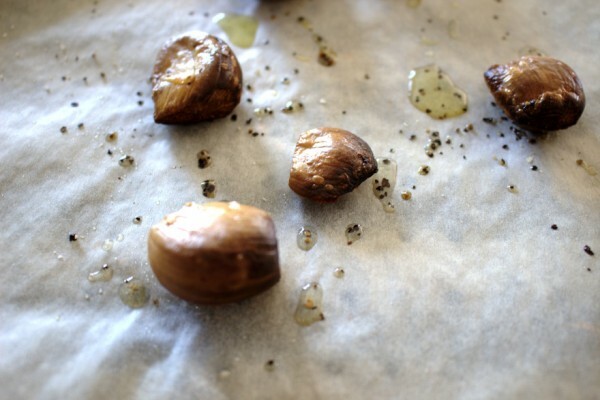 Once, preheated roast the garlic cloves for 15-20 minutes on a baking tray lined with parchment paper. 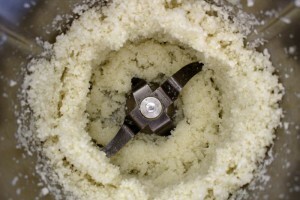 Meanwhile, blend the cauliflower pieces in a food processor until you have what resembles rice. 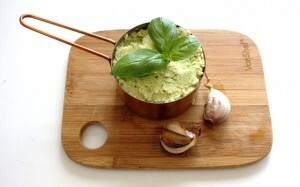 This takes only 30 seconds in my very powerful thermomix but will depend on your appliance. Give your processor a quick clean and dry as you will need it again briefly. Heat the olive oil in a frying pan or iron skillet on a medium low heat and add the cauliflower rice. Cook for approximately ten minutes, stirring continuously until the cauliflower is soft and well-cooked. 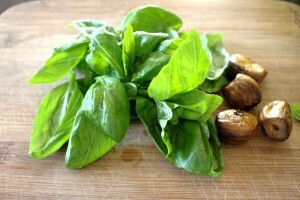 Return the cooked cauliflower to the food processor with the roasted garlic, basil and butter. Season with salt and pepper to taste and blend well to achieve a mash consistency.